Former Governor of Puerto Rico Luis G. Fortuño is a partner in the Washington office of Steptoe, where he is a member of the Corporate, Securities & Finance Group and the Government Affairs and Public Policy Group. He is also involved in Steptoe’s Latin American practice. In private practice, Mr. Fortuño has represented Fortune 500 companies in regulatory, financial, real estate, mergers and acquisitions, and other corporate matters throughout Latin America. Under Mr. Fortuño’s leadership as governor, between 2008 and 2012, Puerto Rico implemented the largest tax cut in the territory’s history, right-sized its government, reined in deficit spending, and developed new sources of government revenue. As a result, in the last year of his term, Puerto Rico experienced economic growth for the first time in six years. Additionally, Mr. Fortuño’s signature public-private partnerships law paved the way for two of the largest recent infrastructure investments in the US, one in Puerto Rico’s highway system and the island’s main international airport. Following law school graduation, Mr. Fortuño joined the corporate practice of a leading Puerto Rico law firm. In 1993, he was appointed executive director of the Puerto Rico Tourism Company and president of Puerto Rico’s Hotel Development Corporation. In 1994, Mr. Fortuño was appointed Puerto Rico’s Secretary of Economic Development and Commerce, a position he held until 1997, when he returned to private practice for another eight years. 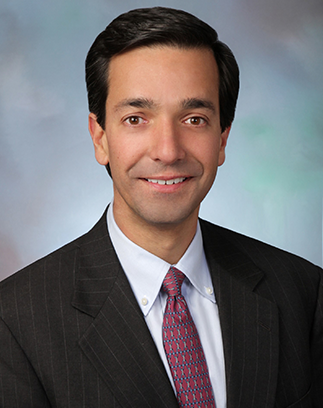 Since 2001, Mr. Fortuño has served as Puerto Rico’s National Committeeman at the Republican National Committee. In the 2004 general elections, Mr. Fortuño was elected as Puerto Rico’s sole representative in the US House of Representatives. His peers in Congress then elected him vice-president of the House Republican freshman class. He also served as vice-chair of the Congressional Hispanic Conference during the 109th Congress and as chair during the 110th Congress. Additionally, he served as co-chair of the Congressional Friends of Spain Caucus. In 2007, he was appointed as the Republican minority’s Ranking Member on the Subcommittee on Insular Affairs for the 110th Congress. He also served as a member of the following House committees: Transportation and Infrastructure, Natural Resources, International Relations, and Education and Workforce. Mr. Fortuño is a member of the American Law Institute. He served as President of the Council of State Governments (2011-2012) and as Chairman of the Southern Governors Association (2011-2012). He also served on the Board of Directors of the Center for Best Practices of the National Governors Association (2010-2012) and was appointed by President Obama to be one of ten governors serving in the Council of Governors (2010-2012).